"Helping you better understand of what's in your pocket." It has been a while since I shared my thoughts on payroll (affectionately misspelled as pay roll). It is usually a pretty quiet time of year for payroll administrators everywhere. We can call this the lull before the storm. Many companies use this time to convert payroll systems. There are many, many reasons why companies want a new payroll management system. Whether payroll reports into the Human Resource department or into the Finance department, the reasons for new payroll solutions remain the same – the organization has outgrown the current payroll management system; the organization is looking to streamline their multiple systems to use on hr system solution that works synergistically with the finance system. Whatever the reason is the HOW is the most important. The key to a successful conversion or implementation of a new HRIS, HR system, Payroll Accounting System to meet your company’s needs is the work that goes into the preparation for the change. Organizations today are split between in-house and outsourced payroll systems. There is a new trend to stay vanilla with these programs as it makes maintenance and updates much simpler to manage. Either choice requires the same pre-work. Examine what you currently have and compare to what the new system will provide. Any deficiencies are considered a gap or missing component. Can you live with the deficiency in the new payroll management system? Identify exactly what the differences between the systems will be. Do the benefits of the HRIS system out way the deficiencies? Will the conversion create better processes and simplify the existing ones? 4) Include your team of payroll administrators and payroll specialists in the fit gap analysis. 5) Security is important with any new system but extremely important with a payroll accounting or HR system. ii. Do managers have the same access as administrators? What kinds of web or system locks are in place to avoid hacking and cyber stealing? Is there a strong encryption? 6) Is the system easily integrated with your existing systems? Do you need to change your financial reporting system? Do you need to change your time management or time keeping system? 3) Build the set of rules in the new system. Be careful to build the rules as they exist today. If you are switching pay frequencies, this frequency switch is the very last step you perform! i. The purpose of regression testing is to confirm that a recent program or code change has not adversely affected existing features. Regression testing is nothing but full or partial selection of already executed test cases which are re-executed to ensure existing functionalities work fine. This testing is done to make sure that new code changes should not have side effects on the existing functionalities. It ensures that old code still works once the new code changes are done. i. System integration testing (SIT) is a high-level software testing process in which testers verify that all related systems maintain data integrity and can operate in coordination with other systems in the same environment. The testing process ensures that all subcomponents are integrated successfully to provide expected results. ii. The main goal of SIT testing is to test the automation of aggregated components and the dependencies that exist between them. In a complex environment, this is a tedious task, as there are a number of components and dependencies. SIT testing ensures that it follows the dependencies available in a sequence, thereby simplifying the task. After system integration is performed, data flow testing takes place through three states, namely the data states within the integration, database and application layers. i. Formal testing with respect to user needs, requirements and business processes conducted to determine whether or not a system satisfies the acceptance criteria and to enable the user, customers or other authorised entity to determine whether or not to accept the system. ii. In User Acceptance Testing, the user requirements are used to derive the functional hierarchy. As such they are likely to be specified very much at the business transactions and processes rather than specific logical functionality. The test cases created in ‘design’ therefore are going to be testing the functionality of the system as a whole to simulate the Business processes including potentially non system procedures. iii. 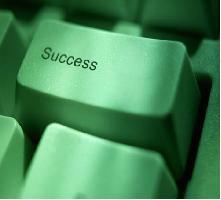 UAT Tester should possess good knowledge of the business. He should be independent, should think as an unknown user to the system. Tester should be Analytical and Lateral thinker and combine all sort of data to make the UAT successful. iv. 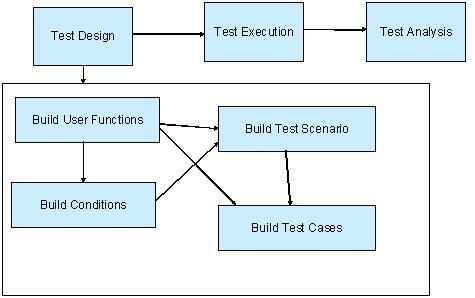 The main purpose of this testing is to validate the end to end business flow. It does NOT focus on the cosmetic errors, Spelling mistakes or System testing. This testing is carried out in separate testing environment with production like data setup. It is a kind of black box testing where two or more end users will be involved. i. What is a parallel run – processing the same data in the old and the new system and achieving the exact same results. i. Do you have an automatic GL upload to your finance system? ii. Do you have information that needs to be fed back to HR? iii. Does information need to flow to/from a time keeping system? i. Do your payroll records from the new system balance (yes, to the penny) with that of the new system? Do you need to produce and ROEs of tax forms from the old system? ii. Whether or not you are switching pay frequencies, the new system will not have the pay period details required to complete a proper ROE (record of employment) for at least 52 weeks. It is in your best interest to complete a set of ROEs from the old system. If you use ROE Web, you can submit them with the reason of “pay frequency change.” This will not impact the employees in any way. It simply means if/when they need to file for EI (employment insurance) then there would be 2 ROEs from your organization – one from the old and one from the new payroll system. 8) Implementation success!! Pay your employees from the new HRIS platform. Many employers don’t take the timing of the implementation into consideration. If at all possible it would be very helpful and would cut a lot of duplication of work if the switch is done for the first pay of the year.